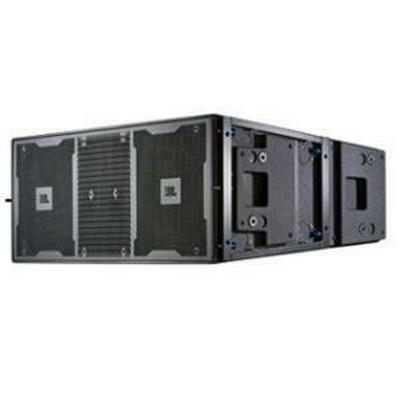 VTX series dual 18" subwoofers employ two 2269H 18" transducers featuring Differential Drive technology with two voice coils, two neodymium magnets and extremely high peak-to peak excursion capabilities to deliver extended very low frequency performance. 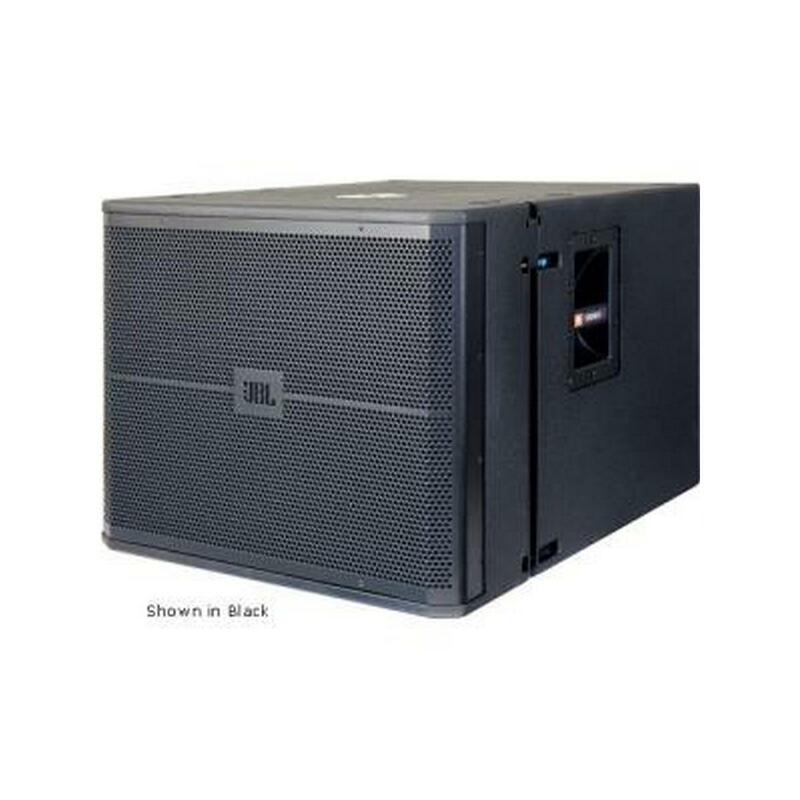 Two VTX Subwoofer models are available: VTX-G28 and VTX-S28, both models are reverse cardioid-arrayable. 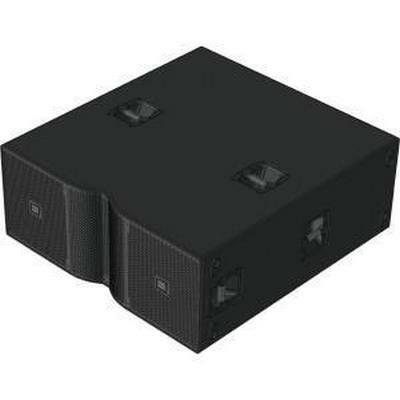 The VTX-S28 can be suspended or ground-stacked and is cardioid-arrayable in either configuration for improved rear rejection. 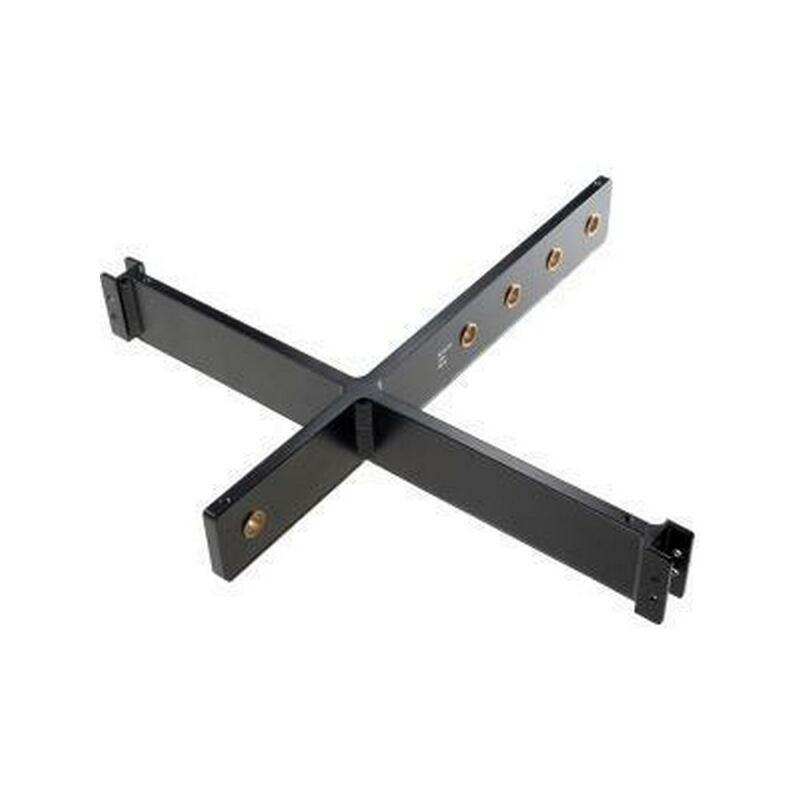 Compatible with VTX-V25 suspension, S28 can be suspended at the top of VTX-V25 arrays to extend the effective low frequency line length, providing improved vertical pattern control combined with improved rear rejection when used in cardioid mode. 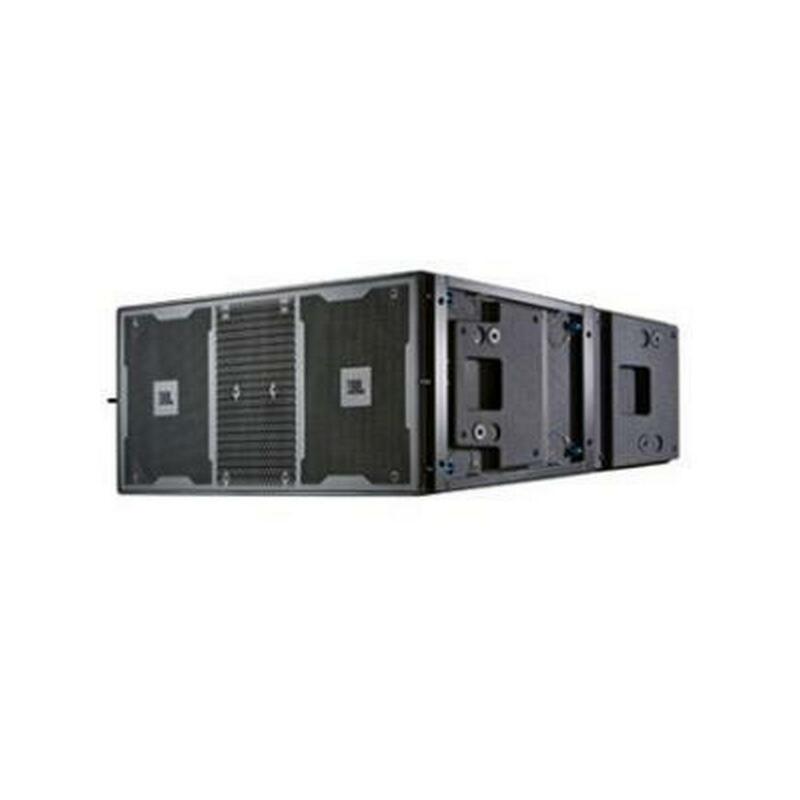 Alternatively, VTX-S28 arrays (cardioid or front-firing) can be suspended beside or behind V25 arrays. 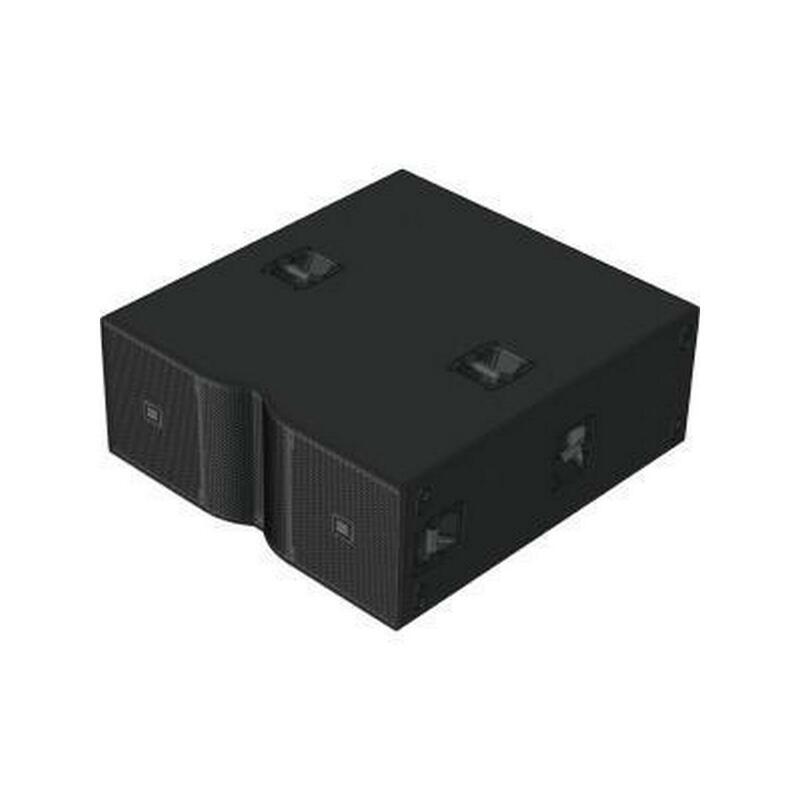 For theatrical sound design, VTX-S28 can be suspended in the middle of flown VTX-V25 arrays to facilitate balcony and floor coverage by allowing improved underbalcony penetration. 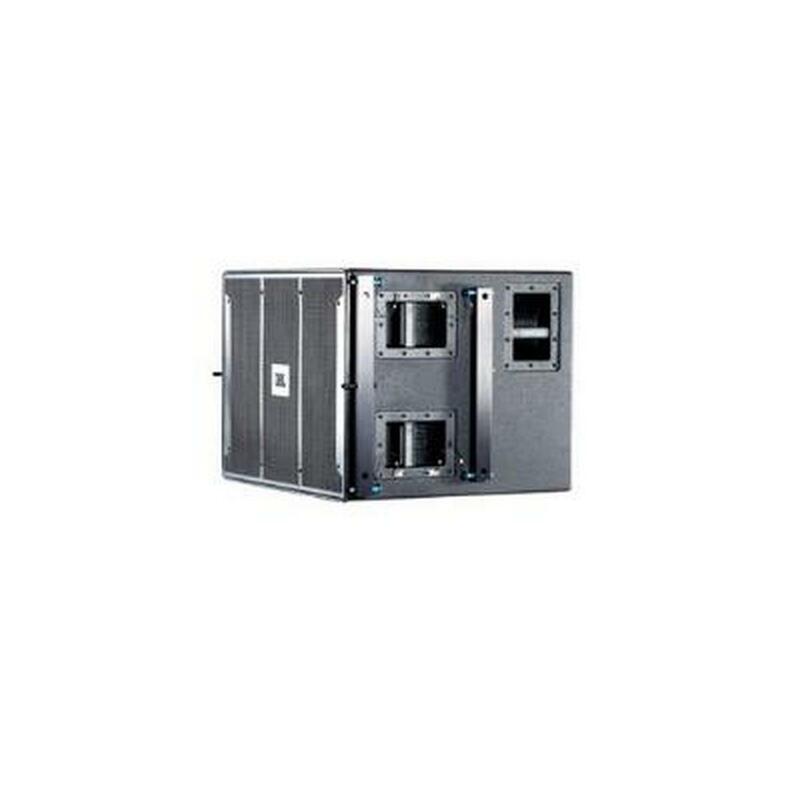 Larger cardioid configurations are also effective where VTX-S28 is suspended or ground-stacked in multiple cardioid blocks, each block consisting of 3 enclosures (2 front-firing, 1 rear-firing). 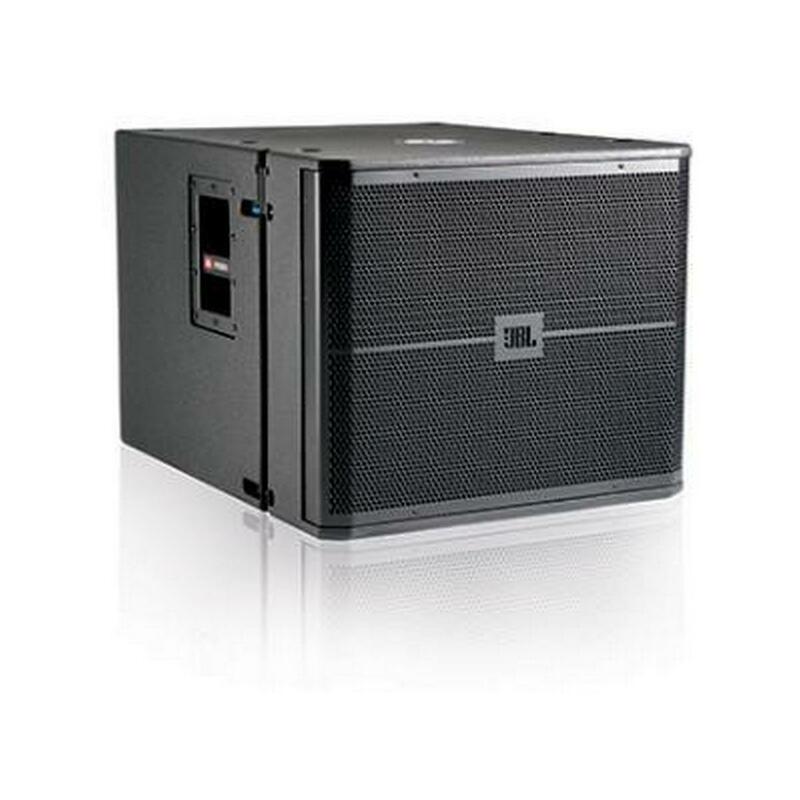 This JBL VRX-AF Array Frame lets you get the most out of your JBL VRX speakers! 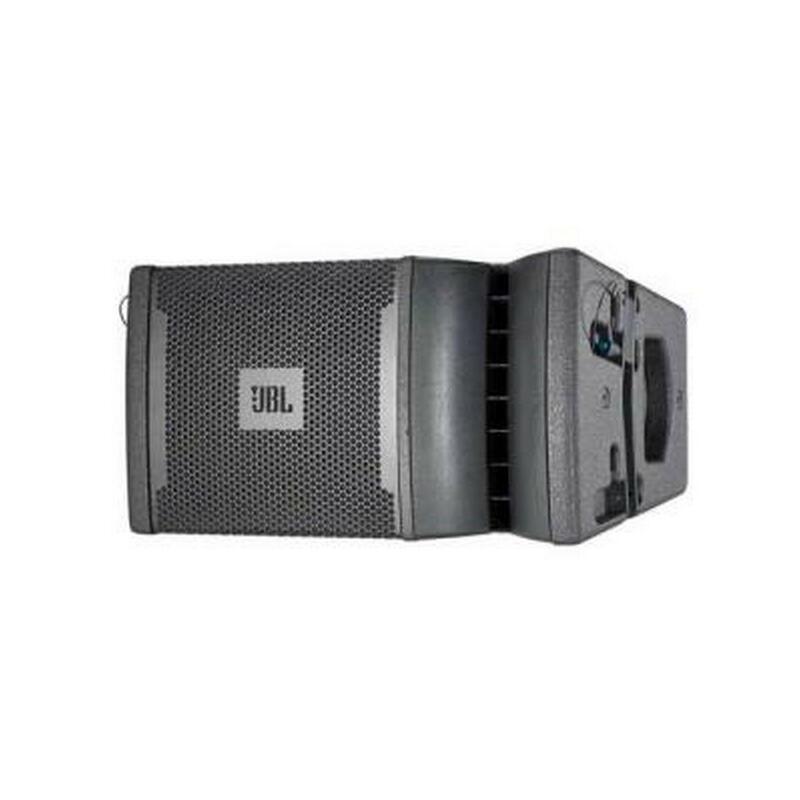 JBL speaker arrays are designed to provide maximum projection and sound dispersion, from an efficient, space-saving flying platform. 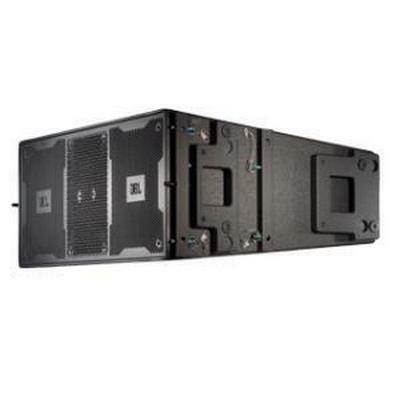 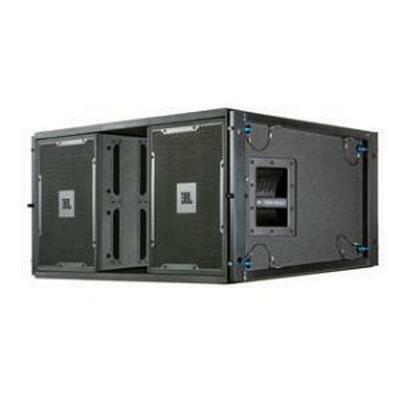 This array frame helps you put your VRX speakers where you need them! 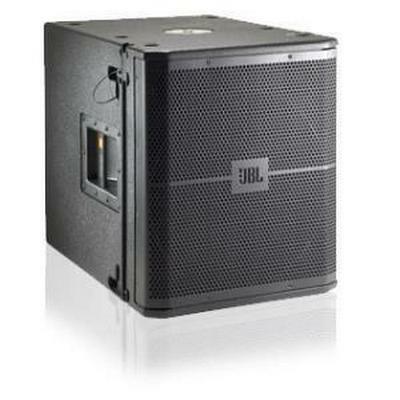 Built to suspend JBL VRX932LA-1/P and VRX918S/P enclosures, This frame is sturdy and dependable. 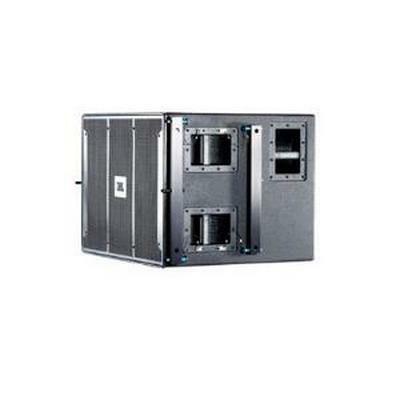 The VRX-AF Array Frame includes four quick-release pins, two shackles, and two drop levers. 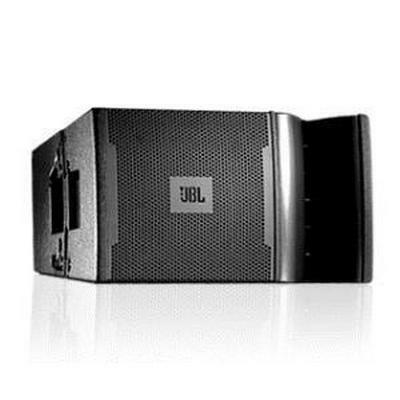 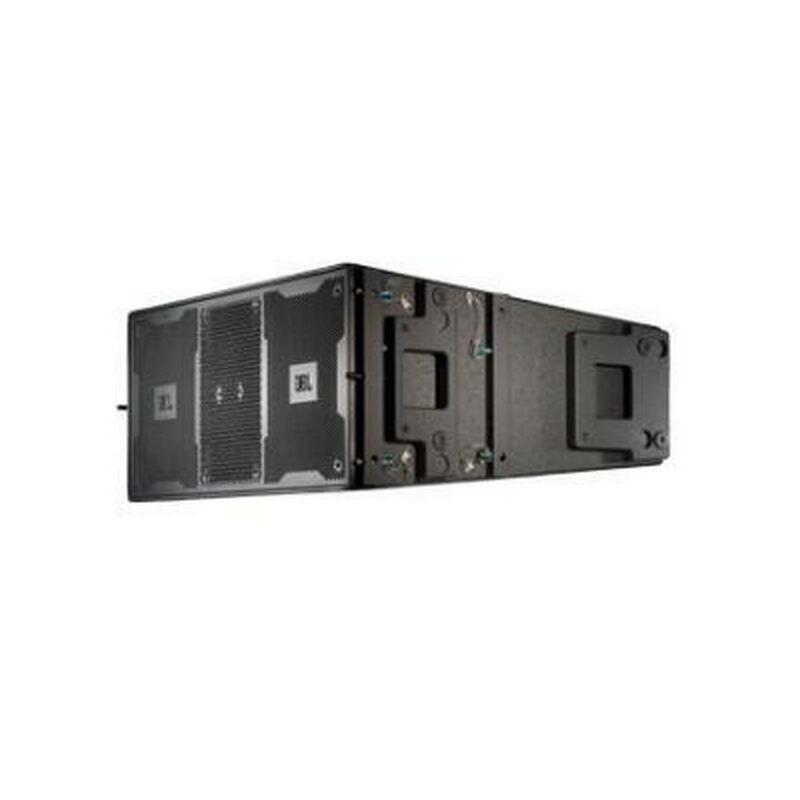 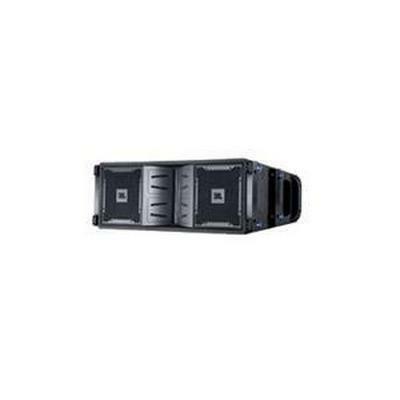 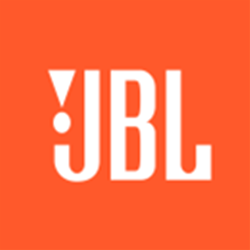 Call your Sales Engineer for more details about the JBL VRX-AF Array Frame. 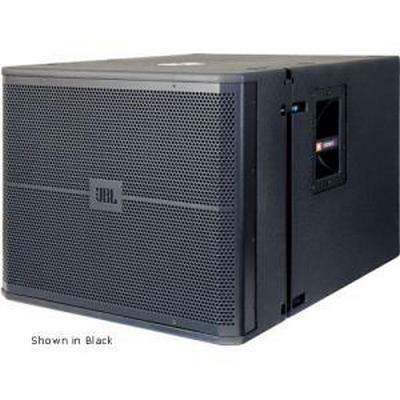 The JBL VRX918SWH 18" High-Powered Flying Subwoofer (White) can be placed on the ground or used in a suspended orientation. 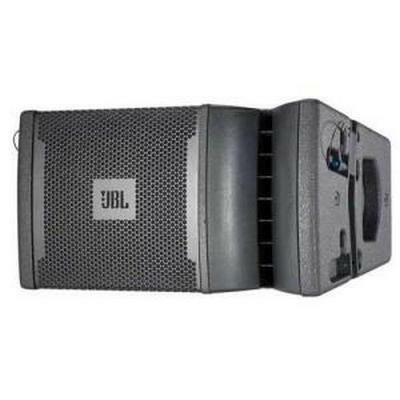 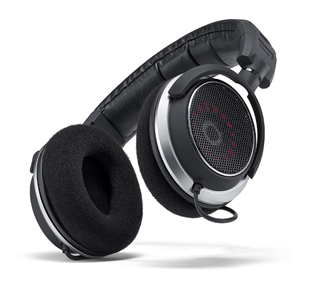 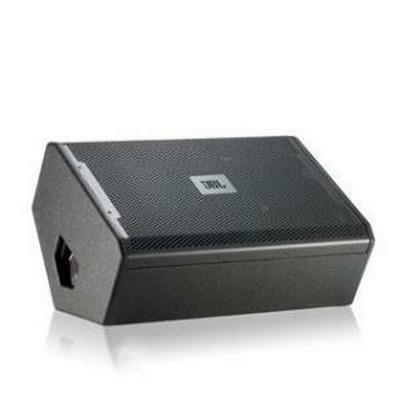 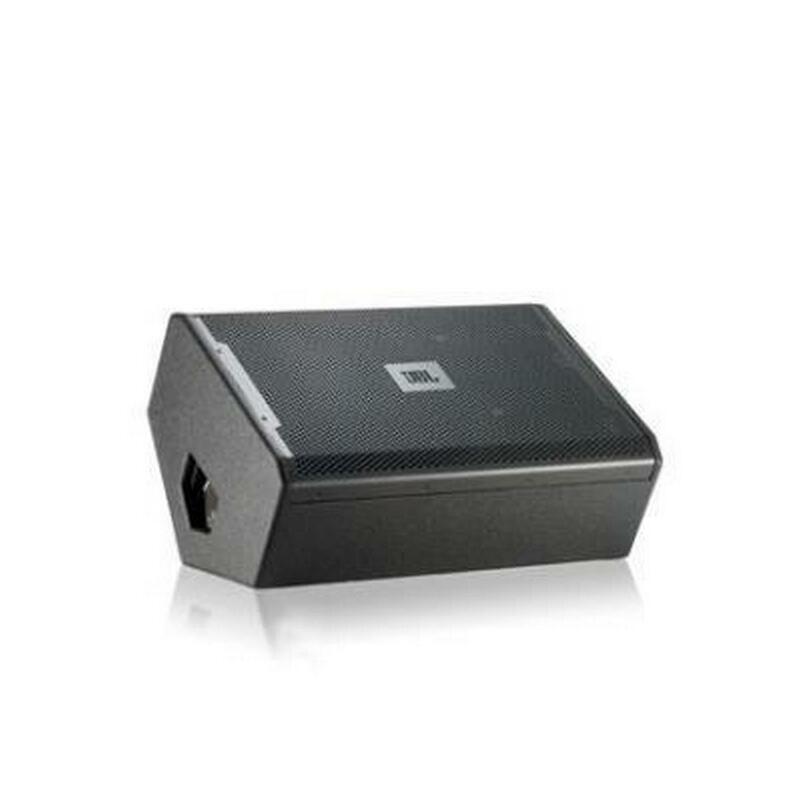 It features a 2268H neodymium magnet and a patented Differential Drive 18" woofer. 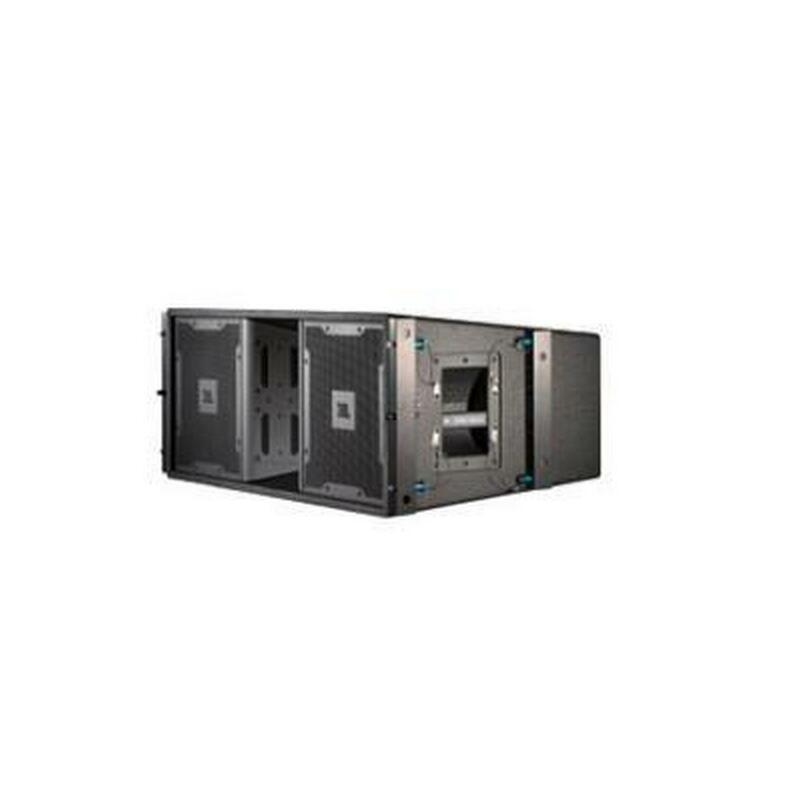 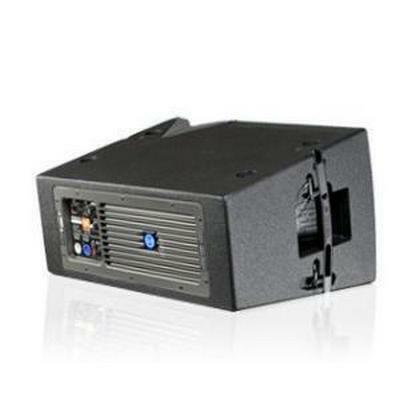 The entire unit is housed in a sturdy wood enclosure covered by a rugged DuraFlex finish. 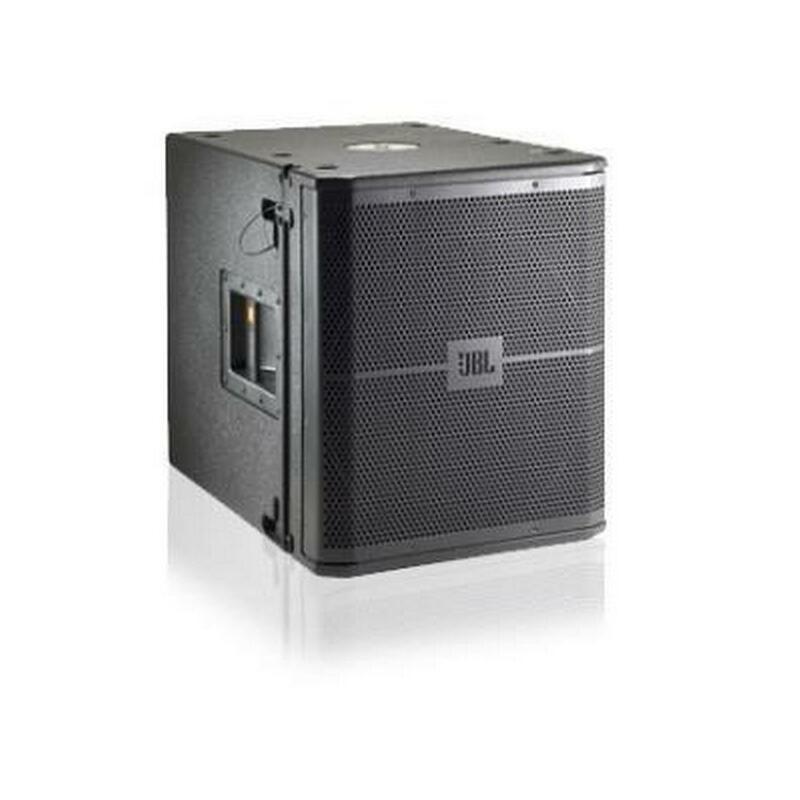 A large port area is designed to give you reduced distortion and optimal sound. 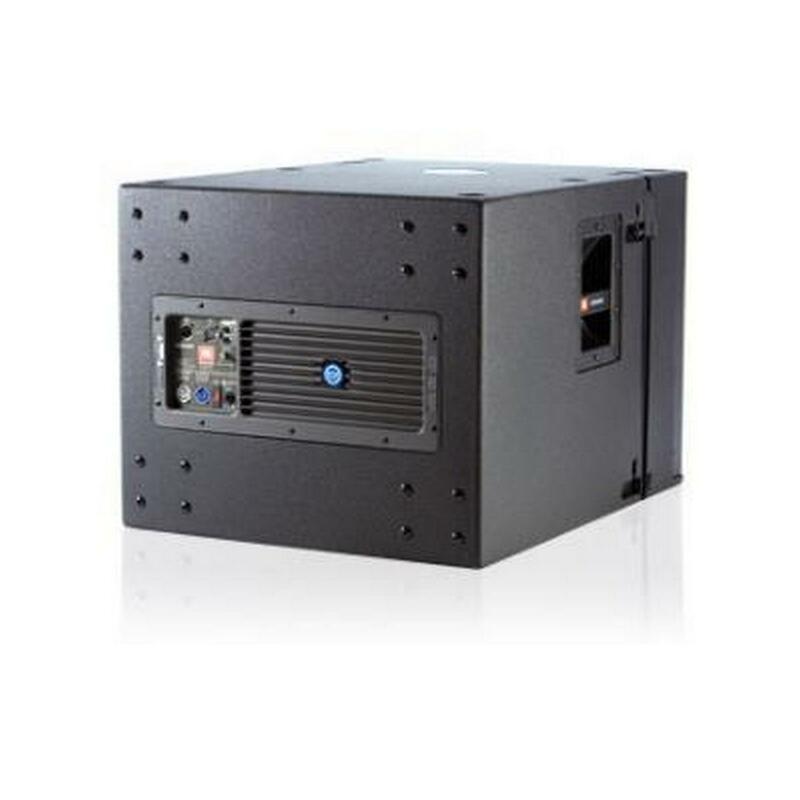 It also features a 20 mm threaded pole socket for solid, secure satellite speaker mounting. 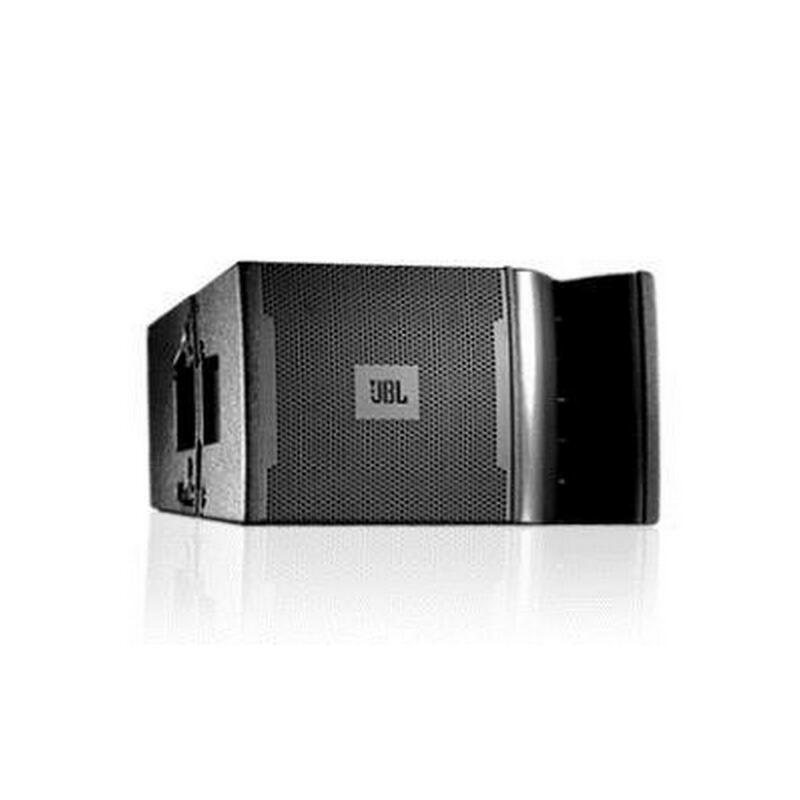 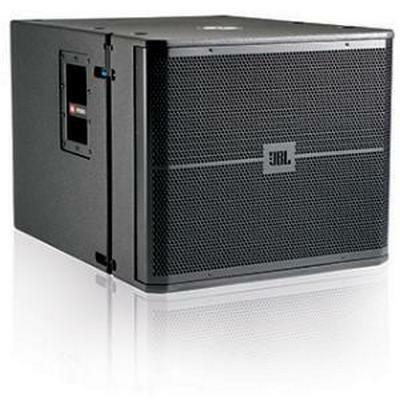 JBL has included an 18" 2268H Differential Drive woofer so you get the extended low-frequency output your busy professional life requires. 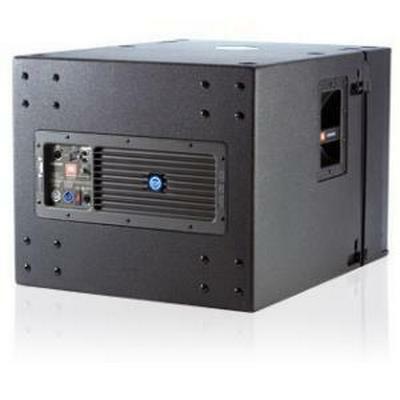 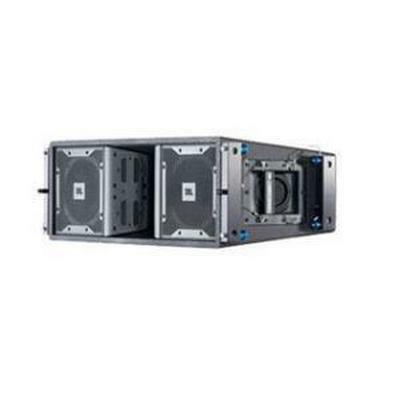 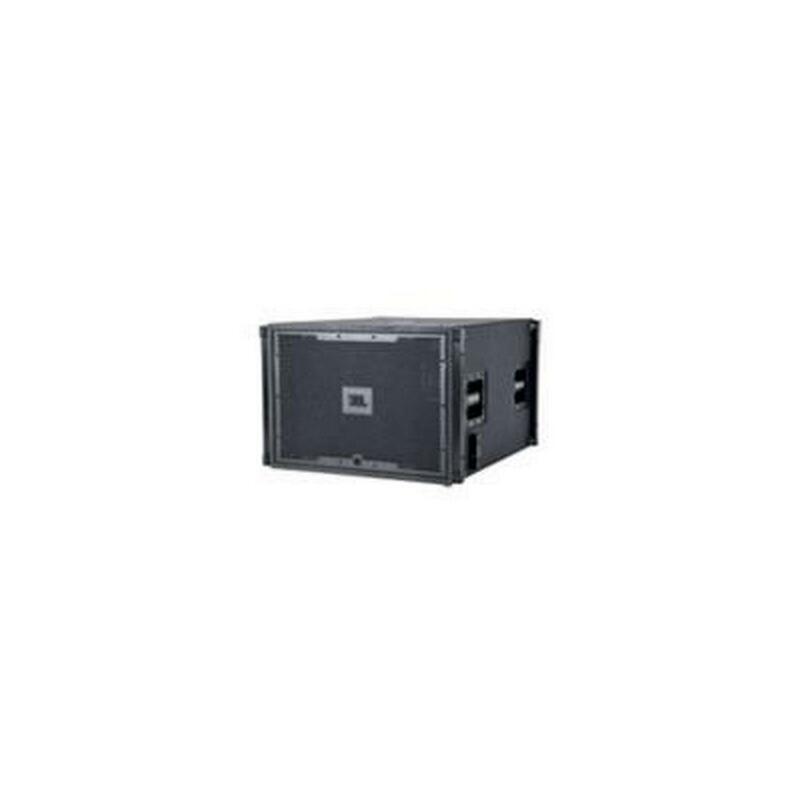 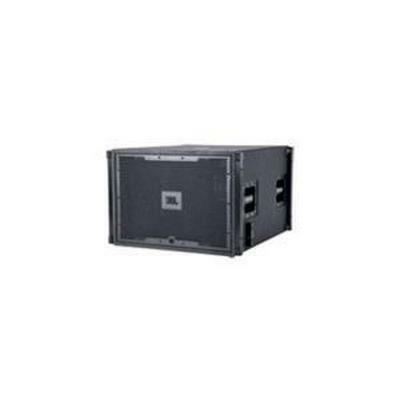 This subwoofer is designed for flying orientation and to be used with the VRX932LA line arrays and optional array frame. 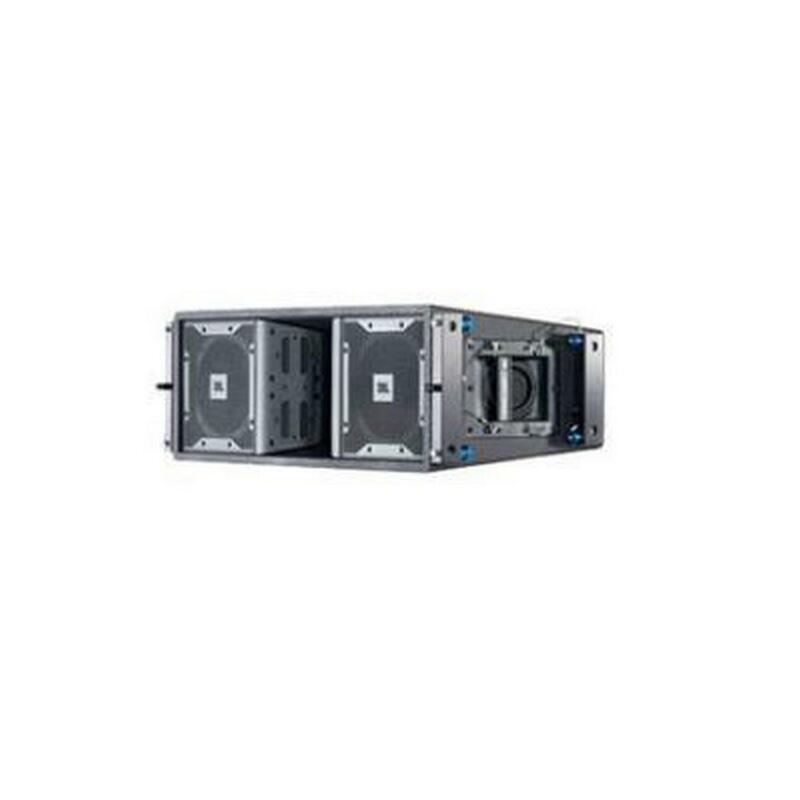 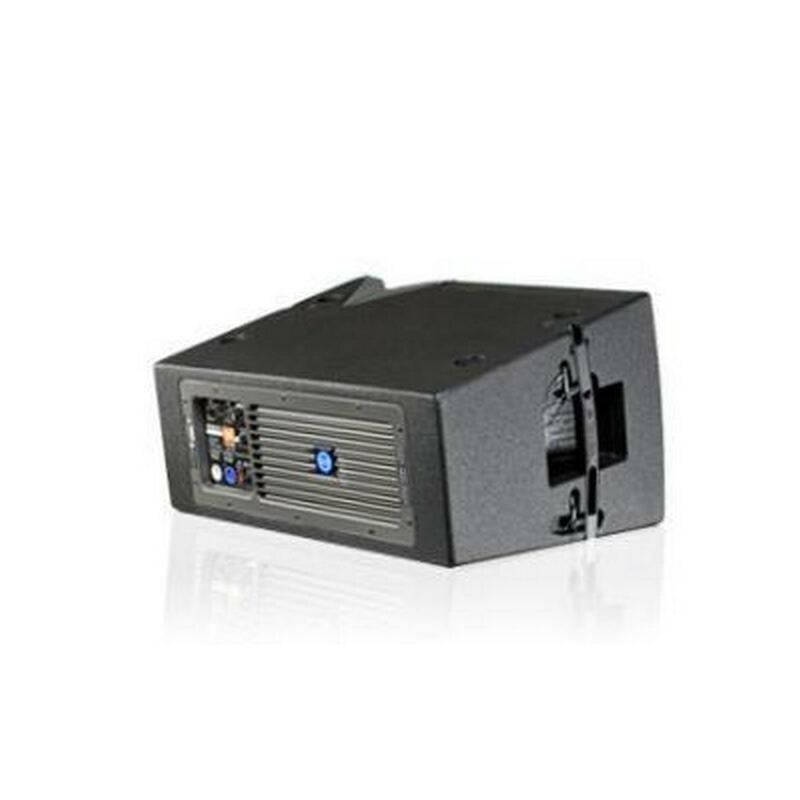 The VRX918S features a large port area so you get a reduced distortion output. 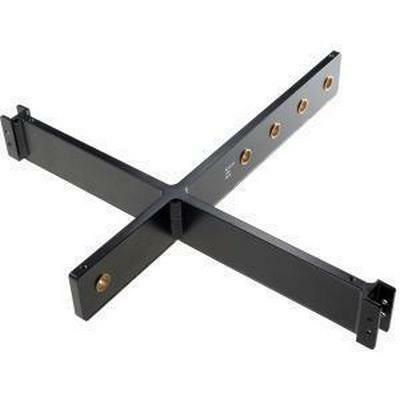 The VRX918S comes with a 20 mm threaded pole socket to ensure a solid, secure satellite speaker mounting. 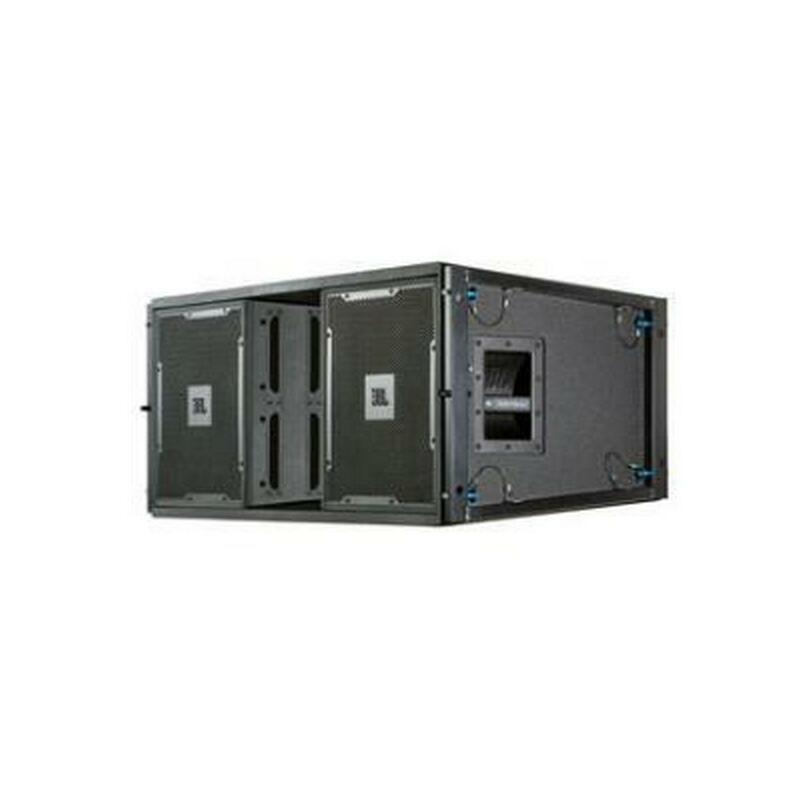 The VRX918S is covered by a heavy-duty 16-gauge protective screen-backed steel grill and a white DuraFlex enclosure for optimal protection.